Is Amazon Fresh the New Move-In Gift? While the city of Seattle banned them in April, apartment bidding websites like Rentberry and Biddwell are insistent to stay. The service provides rental property owners in major metros across the U.S. the chance to make higher monthly revenue, but comes at a cost. This is why the multifamily industry should stay far, far away from these apartment bidding websites. Is Pet Tenant Screening the Future of Rental Housing? The debate on whether or not to allow pets in rental housing is always ongoing, and there are certainly arguments for both sides. It seems like everyone has their own opinion, and they’re steadfast in their belief. However, as resident pet tenant screening become more advanced, could this new form of verification be the turning point? In the era of ‘Netflix and Chill’ and the binge watch, it’s safe to say that most people are enjoying their television. With so much content out there you don’t have to go far to find representation, and property managers are no exception. While television property managers may be a little quirky, there are some good lessons that can be learned from them. Although we all wish that summer would last a little longer, the season is steadily coming to a close. School supplies are starting to fill the aisles of every store, and the inevitable return to the normalcy of the academic year is looming. 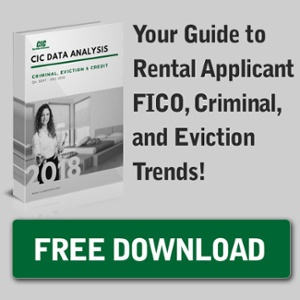 For property managers, this presents an opportunity to market to a specific kind of renter, and possibly fill some vacant properties you may have sitting. College students are taking this time to finalize their living arrangements, and your property could be just what they’re looking for. Take advantage of this new pool of renters by tailoring your marketing strategy to attract students.